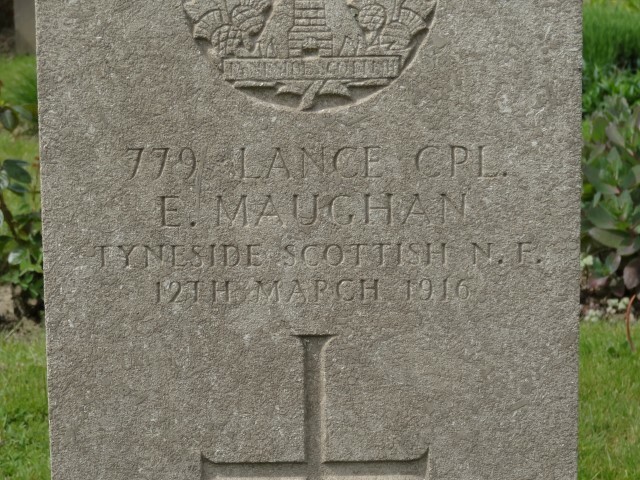 21/770 Lance Corporal Edward Maughan 21st Battalion (Tyneside Scottish) Northumberland Fusiliers was killed in action 12 March 1916 and is buried at Ration Farm Military Cemetery, La Chapelle 0d’Armentieres. He was 20 years old and is commemorated on West Auckland War Memorial, the Roll of Honour, West Auckland Memorial Hall and Bishop Auckland Grammar School Memorial. The service details of Lance Corporal E. Maughan have not been researched. He enlisted at Newcastle-upon-Tyne into the Northumberland Fusiliers, 21st Battalion, Tyneside Scottish and was given the regimental number 21/770. 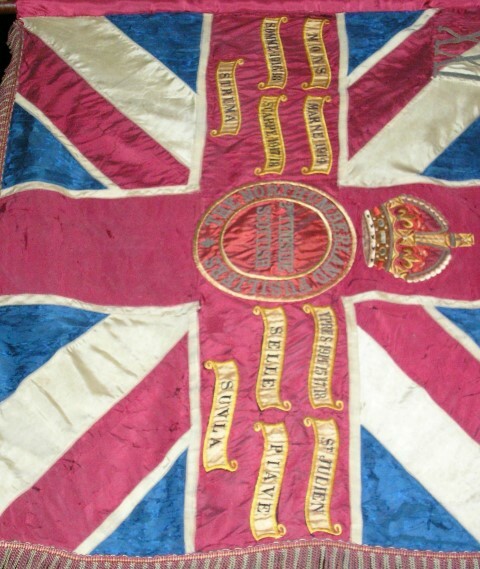 The NF battalions were known as the 1st, 2nd, 3rd and 4th Tyneside Scottish and collectively as the 102nd Tyneside Scottish Brigade. The Brigade went to Salisbury Plain in August 1915 then embarked for France in January 1916. 10 January: The Division arrived in France with the 20th, 21st and 22nd NF sailing to Le Havre. The 21st Battalion went to Campaigne and started training in earnest before moving forward to the Steenbecque area in preparation for instruction in trench warfare. The 21st came under the command of the 25th Brigade for its instruction by the 2/Royal Berkshire Regt. and 2/Royal Irish Rifles. 25 – 28 January: the battalion went into the line. 29 January: noon, the enemy shelled Battalion HQ and the Officers’ Mess Cook. 21/1080 Private Johnson had his leg broken by shrapnel to become the battalion’s first casualty, not in the trenches but behind the line. 12 March: Lance Corporal E. Maughan was killed in action. Later research records that between 2 February and 12 March 1916, 21/NF lost 13 Other Ranks killed in action or died of wounds. Lance Corporal E. Maughan was awarded the British War and Victory medals. 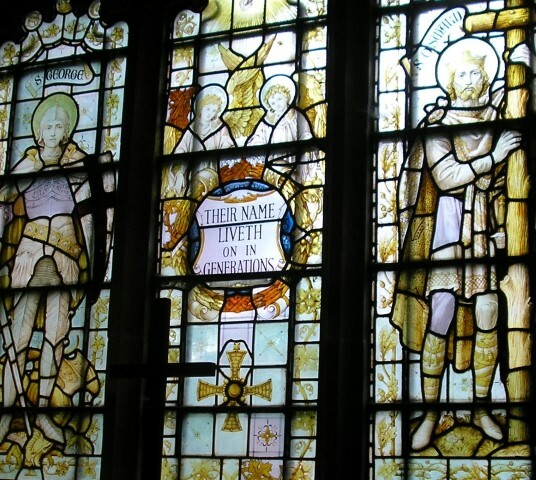 St. Cuthbert’s Church, Bedlington, Northumberland: 20 July 1920: The colours of the 2nd Battalion, Tyneside Scottish, 21st Battalion Northumberland Fusiliers were “laid up” in the church. The Morpeth Herald 7 October 1921 reported that the porch had been converted to a Chapel of Remembrance. Lance Corporal E. Maughan is commemorated on West Auckland War Memorial, the Roll of Honour, West Auckland Memorial Hall and also on the Bishop Auckland Grammar School War Memorial.